Samuel Scheidt is among the ranks of significant early 17th century German composers. 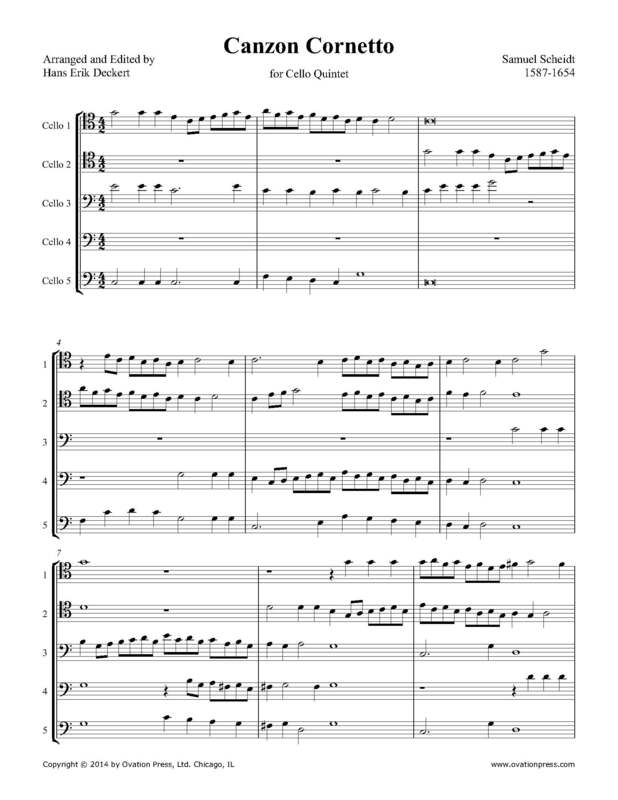 This happy and hymn-like piece was originally written for contemporary wind instruments of the baroque period. "Cornetto" is the Italian name for zink. The cornett, cornetto, or zink is an early wind instrument that dates from the Medieval, Renaissance and Baroque periods. Polyphony is very predominant in this work and it is recommended that the cello sound should imitate the sound of the zink by playing closer to the bridge.